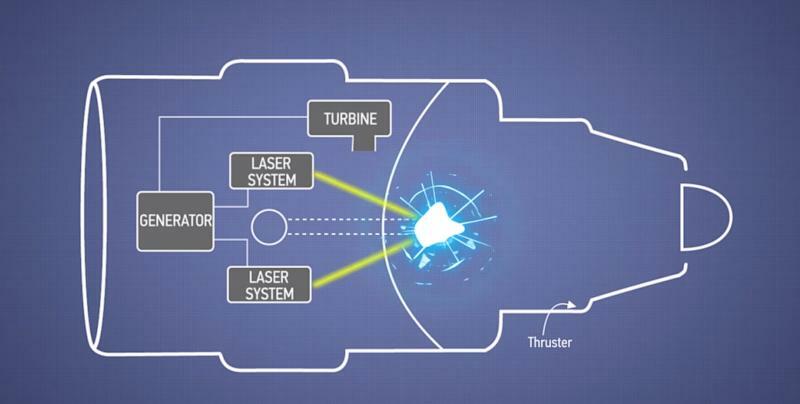 Last week, the US Patent and Trademark Office approved an application from Boeing's Robert Budica, James Herzberg, and Frank Chandler for a laser- and nuclear-driven airplane engine. With airplane makers constantly on the lookout for new and more efficient ways to power their products, this laser engine is the latest idea cooked up by the engineers at Boeing. Modern airliners such as the Boeing Dreamliner are powered by multiple turbofan engines. These engines deploy a series of fans and turbines to compress air and ignite fuel to produce thrust. 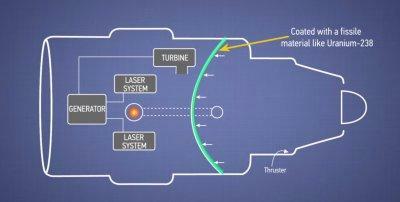 Boeing's newly patented engine provides thrust in a very different and rather novel manner. 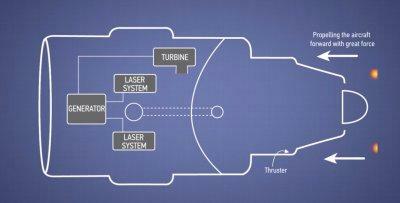 According to the patent filing, the laser engine may also be used to power rockets, missiles, and even spacecraft. 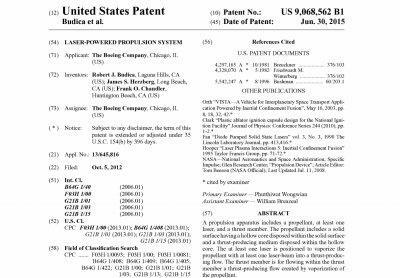 As of now, the engine lives only in patent documents. The technology is so out-there that it is unclear whether anyone will ever build it. 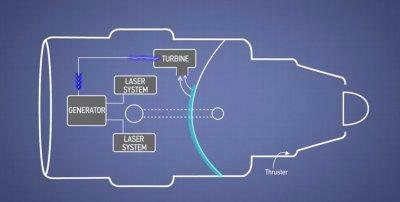 Here's how Boeing's new patented engine works. 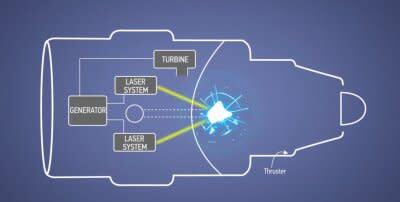 Boeing's new jet engine works by firing high-power lasers at radioactive material, such as deuterium and tritium. 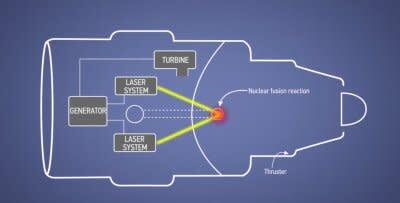 The lasers vaporize the radioactive material and cause a fusion reaction — in effect a small thermonuclear explosion. Hydrogen or helium are the exhaust byproducts, which exit the back of the engine under high pressure. Thrust is produced. At the same time, the inside wall of the engine's thruster chamber — coated in uranium 238 — reacts with the high-energy neutrons produced by the nuclear reaction and generates immense heat. The engine harnesses the heat by running coolant along the other side of the the uranium-coated combustion chamber. 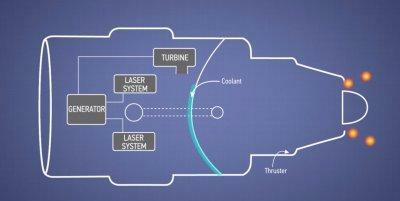 This heat-energized coolant is sent through a turbine and generator that produces electricity to power the engine's lasers. Yes, lasers! Other than the radioactive material, the engine requires very little in terms of external energy.